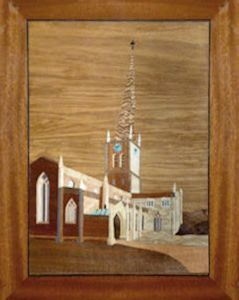 Sheffield Marquetry Group originated in 1993 as, ‘An introduction to Marquetry’, part of the then extensive and very popular selection of courses supported by The Workers Educational Association (WEA). 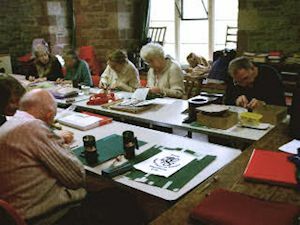 The course continued, attracting members from East, West and South Yorkshire as well as Sheffield, from all walks of life and from absolute beginners with no experience of Marquetry, to students from the courses in furniture and cabinet making. 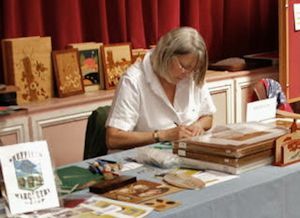 In 2007 we decided to break away, from the WEA and continue in the current venue as Sheffield Marquetry Group. The cost of the room is divided by the number of members and we meet for thirty weeks of the year roughly corresponding to school terms. We meet in a small, comfortable room and have a very friendly atmosphere. 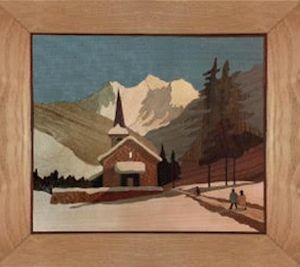 The group caters for anyone wishing to practice Marquetry and currently we have people covering most aspects of Marquetry and inlay from kits, created designs, all the way to metals, and boullework restoration. 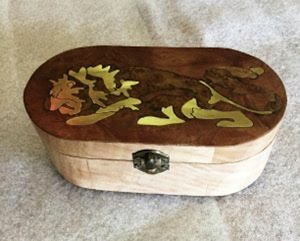 Anyone wishing to join or just drop in to see if Marquetry is for you, would be made welcome and although restricted in space, room would always be found. TIMES. 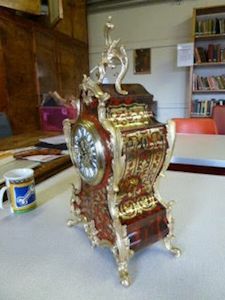 Tuesday (term time) 10am to 12noon. Contact. Graeme Johnson. email. theegraeme@mac.com Tel. 0114 237 5348. Mob. 07947 127 909.